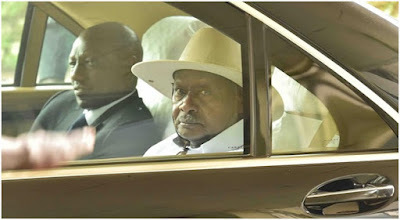 Monday, August 20, 2018 - Deputy President William Ruto and his youngest son met ruthless African dictator Yoweri Museveni at State House, Uganda, over the weekend. Ruto claims he held talks with Museveni on how business between Kenya and Uganda can be strengthened during the meeting. The Deputy President’s meeting with the power hungry Museveni, who has a habit of torturing his opponents and killing them, has elicited mixed reactions on social media. Kenya and Uganda enjoy cordial relations and share mutual interests. We are the largest recipients of Uganda products within the East African Community and our companies are the biggest investors. Continued collaboration in trade, agriculture and capital investments will result in new, diversified income streams and strengthen the two countries economies.